Jay L. Lenrow, joined Adelberg Rudow as Of Counsel on June 1, 2012. He was born in Hackensack, New Jersey on March 29, 1951. After earning a B. A. from the Johns Hopkins University, Jay attended the Johns Hopkins University School of Advanced International Studies. He received his J.D. from the Washington College of Law at the American University in 1977 and began practicing law in Maryland the same year. Jay’s practice focuses on Real Estate Law, Corporate Law and Construction Law. Jay began his career in private practice with a large Baltimore firm. But, in 1979, Jay transitioned his practice to public service, becoming an Assistant Attorney General for the State of Maryland. 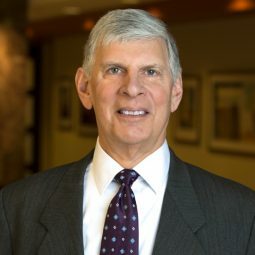 In 1982, Jay returned to the private sector and accepted a position as Associate General Counsel for McCormick Properties, Inc. Then, Jay became the Vice President/General Counsel of Combined Properties, Inc. Jay was Vice Chairman of the Maryland Commission on Landlord-Tenant Law Reform from 1979 – 1990. Friends of the Jewish Chapel of the United States Naval Academy, Inc.